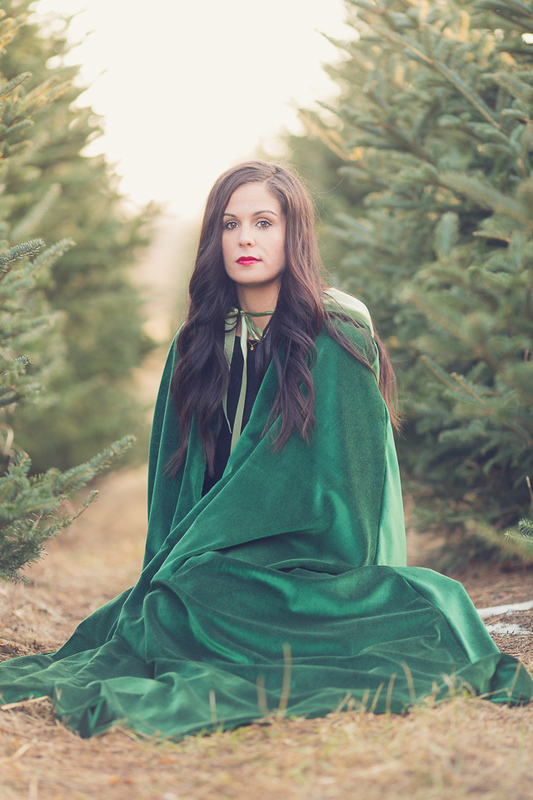 A few weeks ago I told Amanda that I wanted to take some photos of her wearing a green cape in a row of Christmas trees. 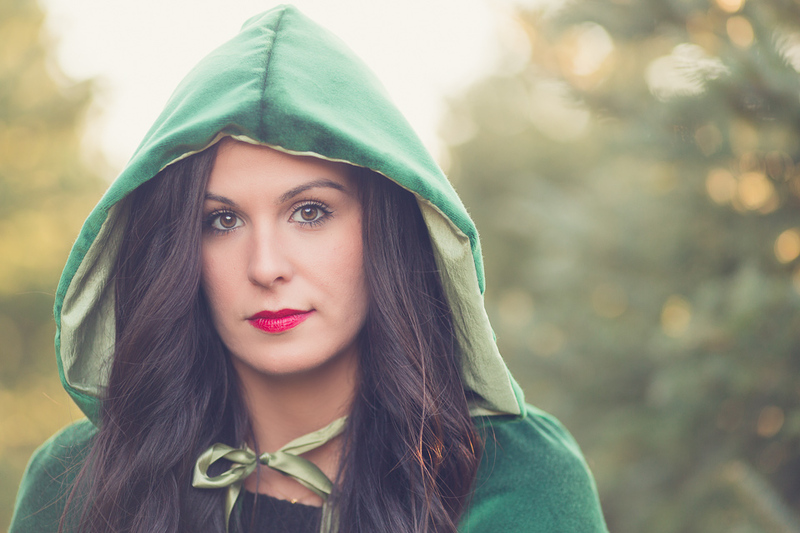 Maybe a green mask, too. Because the idea I had was GREEN. Lots of green. Did Amanda balk at this harebrained idea? No, she did not. She completely went with it and rocked it (as you will see in the following photos. Is she beautiful or WHAT). I had to throw a little red in there too just for a little Christmasy-ness (new word alert), so look for that in a couple of photos. 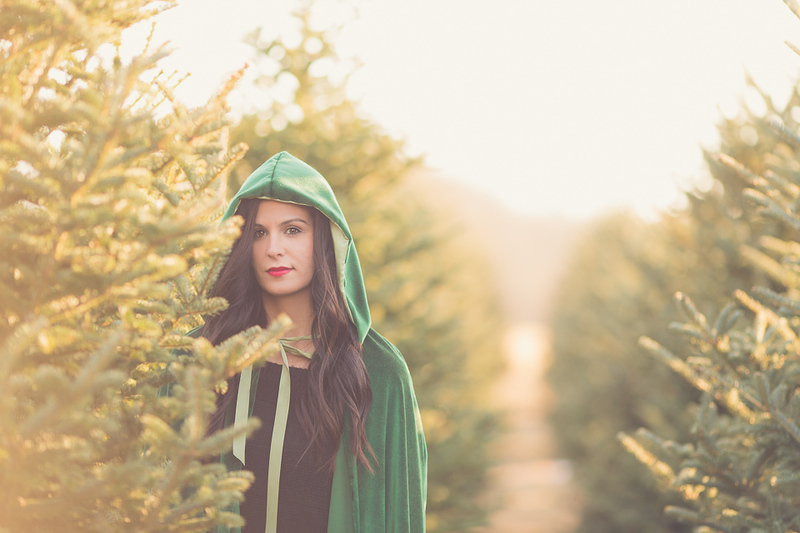 Big thanks to The Farmer's Daughter for allowing us to shoot at their beautiful Christmas tree farm, and to my mother for sewing the amazing green velvet cape.